Ryukyu green snake is distributed in the Okinawa Islands, Amami Islands and tokara islands. The total length is around 80cm from 70cm. It's common and nonvenomous snake. 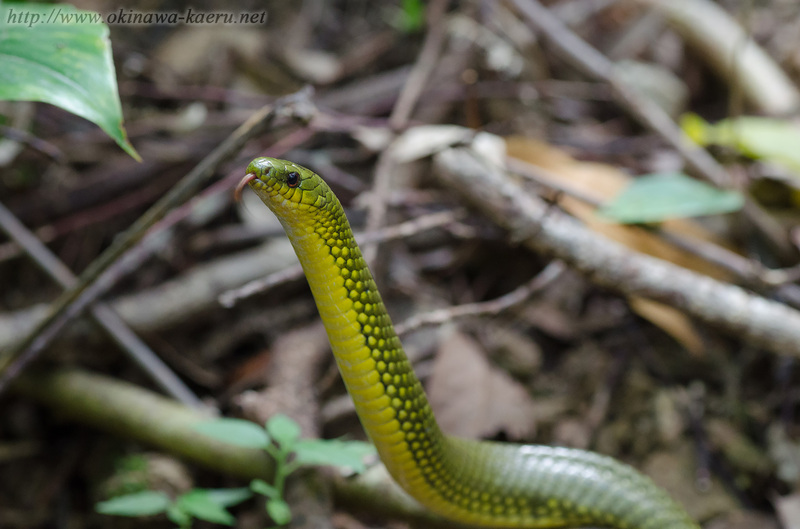 Video of Ryukyu green snake is click here !